Despite hopeful pleas winter has decided to show up for another year, but that doesn’t mean you can’t enjoy the outdoors. 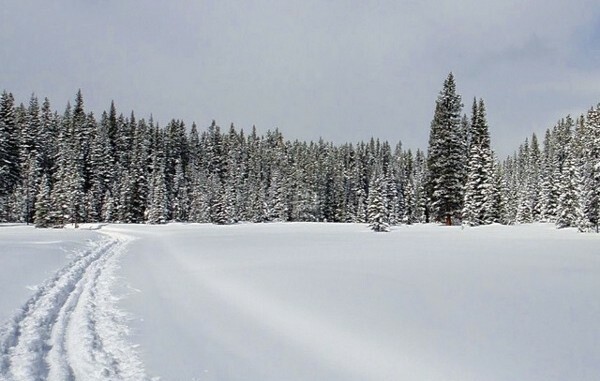 Now that Calgary is covered in a blanket of the white stuff, it’s the perfect time to dust off those skis and poles and head out for some cross-country skiing fun. There are countless options for cross-country skiing (also known as Nordic skiing) to the west of the city in both the foothills and the mountains, but if you’re hoping to stay closer to home there are plenty of options right here in the city. 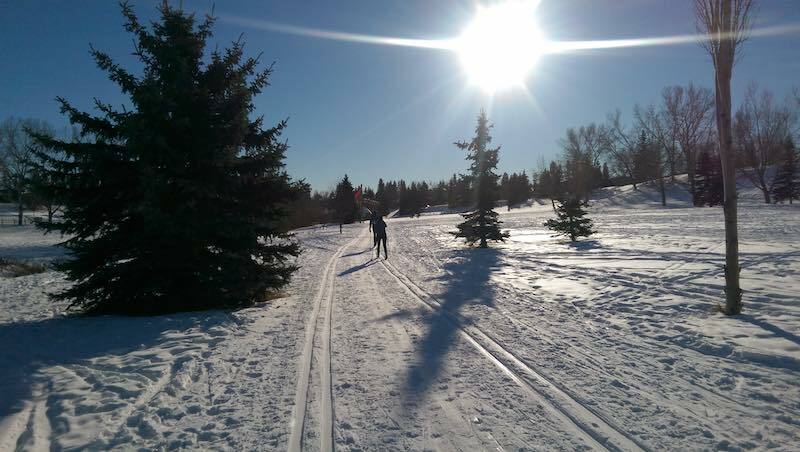 In conjunction with the City of Calgary, the Calgary Ski Club and the Foothills Nordic Ski Club maintain a network of trails across four of the city-owned golf courses; Shaganappi Point, Confederation, Maple Ridge, and Lakeview. The Foothills Nordic Ski Club is responsible for grooming the trails at Confederation, Maple Ridge, and Lakeview Golf Courses. 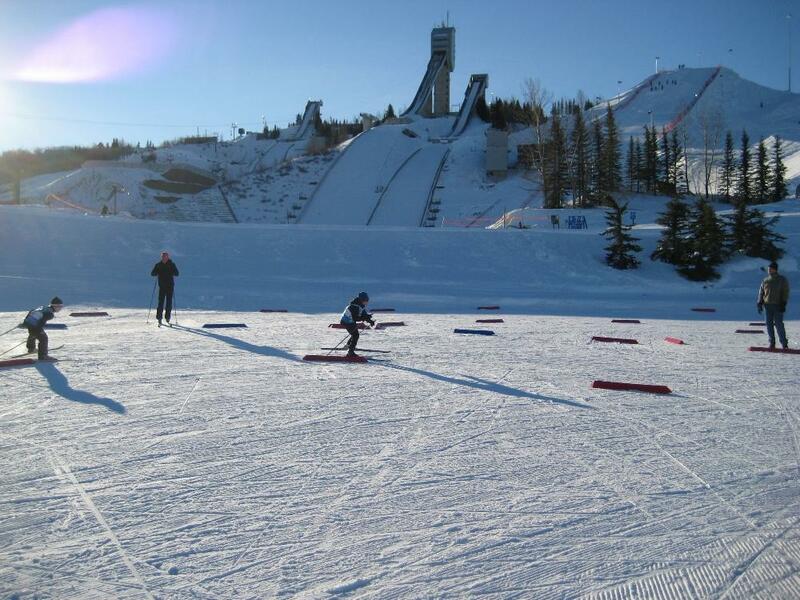 Confederation is groomed with a 5km double classic loop, a 3km skate-ski loop, and a teaching grid area. Maple Ridge features a 5km classic track, while Lakeview will have a 2.5km track when it’s groomed in the next couple of weeks. 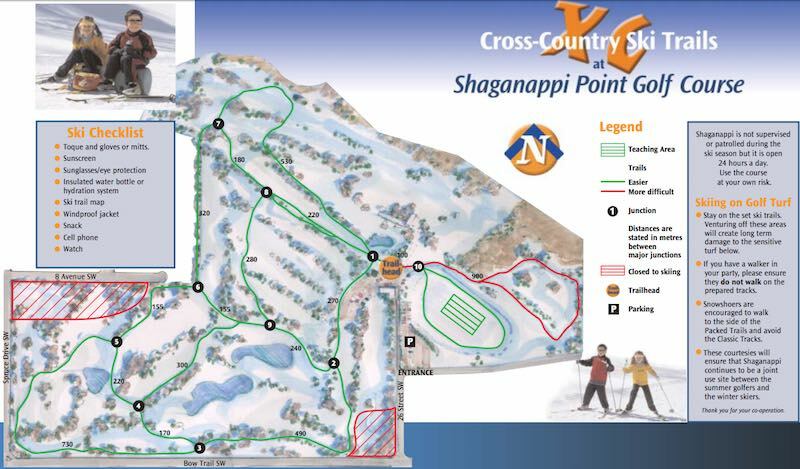 The Shaganappi Point Golf Course is maintained by the Calgary Ski Club and features over 5km of groomed trails. It’s also worth noting that the golf course parking lots are not open or plowed in the winter, instead on-street parking is available. There are no changing or warming facilities available, so come prepared for the weather. The only course with an outhouse is Confederation, the others don’t have sanitation facilities available. The trails are open 24 hours per day, but there aren’t any trail lights, so a headlamp is required for those late night skis. 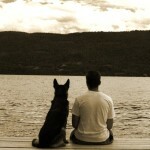 Dogs are not allowed at any of the courses and for your own safety stay off all bodies of water. Please refrain from skiing on golf course greens, tee boxes, and other fenced-off areas; just stick to groomed, marked, or mapped trails only. There is no fee to access any of the city golf courses, but the ski clubs who volunteer to groom the trails operate solely by donation. All of the work is completed by unpaid volunteers who have a love for cross-country skiing and want to see easily accessible trails for all Calgarians. Grooming is completed as soon as possible after a snow fall, but is subject to the availability of the grooming volunteers and the budget. If you’d like to see this service continued or expanded, please consider supporting either (or both) ski clubs. There is a fine art to tracksetting and it is solely dependent on temperature and the snow’s moisture content. The optimal temperature range for tracksetting is -4 to -8 degrees Celcius. With Calgary’s chinook-prone winters it is imperative that volunteers preserve as much snow as possible (through packing, grooming, and tracksetting) because once that warm wind starts blowing it doesn’t take long for any unpacked snow to disappear! If you’re hoping for more of a wilderness experience Calgary also features a number of green spaces that are available to Nordic skiers. Weaselhead Flats, Edworthy Park, North and South Glenmore Parks, and the Paskapoo Slopes area are all excellent choices for cross-country skiing, but keep in mind that you’ll have to break your own trail as these natural areas aren’t groomed or trackset. 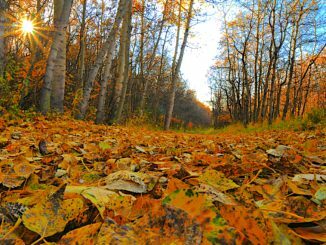 You can also head to Canada’s largest urban park, Fish Creek Provincial Park, conveniently situated in the southern part of the city. Here you will find over 80km of trails to explore, but like Calgary’s other natural areas the trails in Fish Creek aren’t groomed. The last place I’d like to mention is WinSport’s Canada Olympic Park. 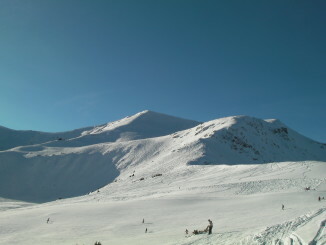 The park features over 2km of groomed trails and is a popular training ground for competitive skiers. Unlike the other areas I’ve already mentioned there is a fee to access WinSport’s trail system. They also have rental packages available in case you need to rent gear while you’re there. C.O.P. isn’t the only place in the city that rents cross-country gear though. If you need to rent skis there are a number of places in Calgary that can accommodate you. The University of Calgary’s Outdoor Centre, Sports Rent, Norseman, and Mountain Equipment Coop all offer competitive prices on the gear you’ll need to get outside. Although it may feel like it sticks around longer than it’s welcome, winter doesn’t last forever. Take advantage of it while its here and enjoy some of the great parks and green spaces Calgary has to offer during our coldest season. It sure beats just sitting on the couch every night, dreaming of summer! For the latest news and trail reports or just to stay up to date please follow the Foothills Nordic Ski Club on Twitter, Instagram, Facebook, and YouTube. You will also find the Calgary Ski Club on Twitter, Facebook, and Instagram.